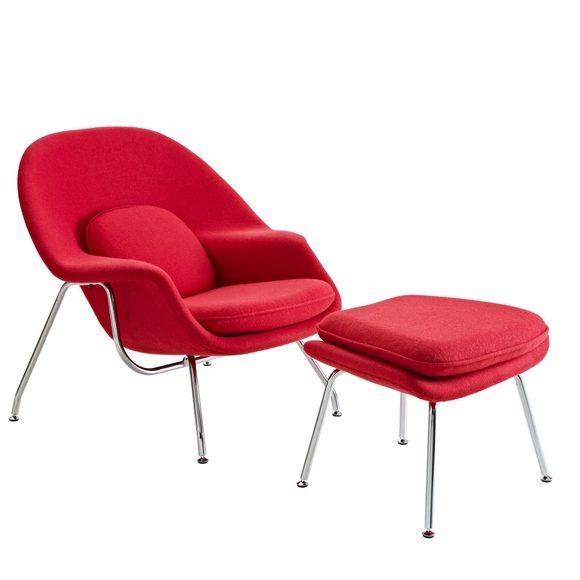 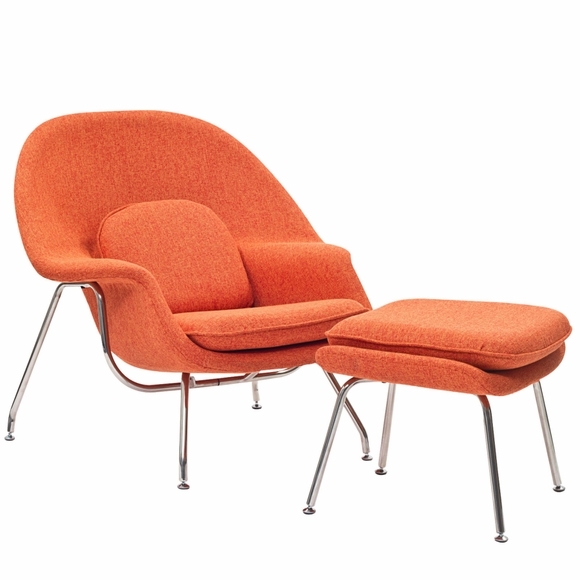 The Womb Chair and Ottoman originally designed by Eero Saarinen in 1948 is an Iconic Piece that continues to be one of the most recognized representations of Mid-Century modernism. 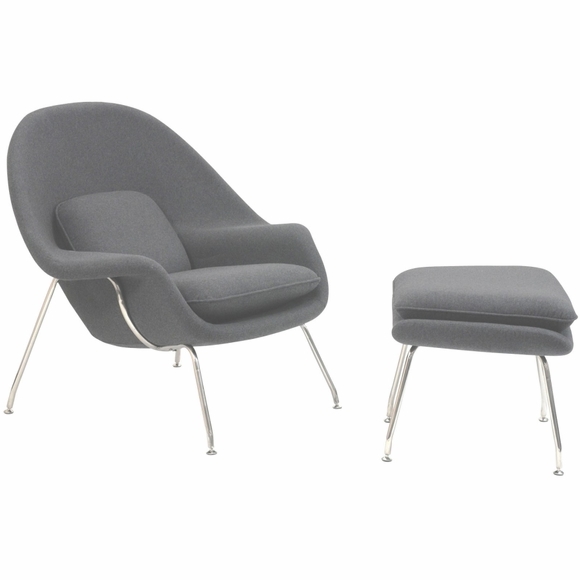 Our Reproduction of the Womb Chair and Ottoman is made from Premium Wool Fabric, and meets the architectural specifications of the original. 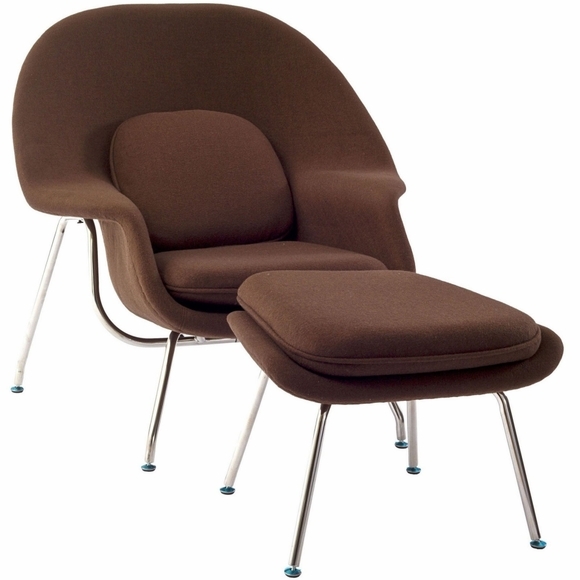 It was named the Womb Chair because it envelops, allowing you to curl up and relax in comfort. 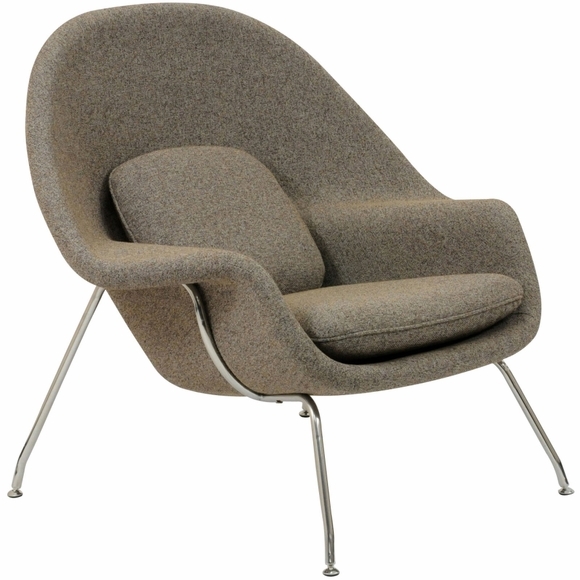 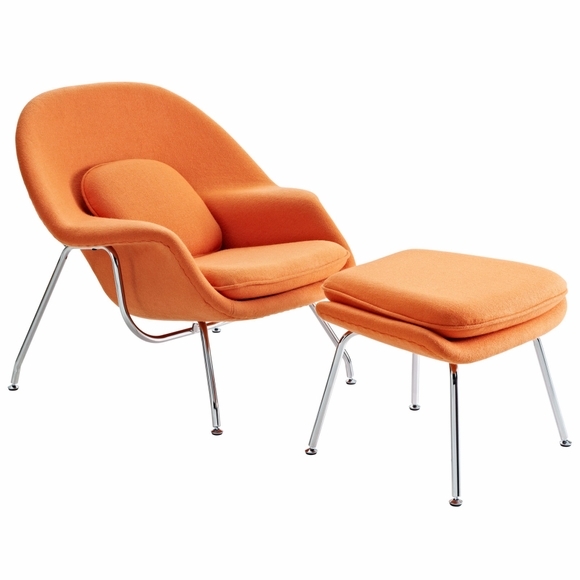 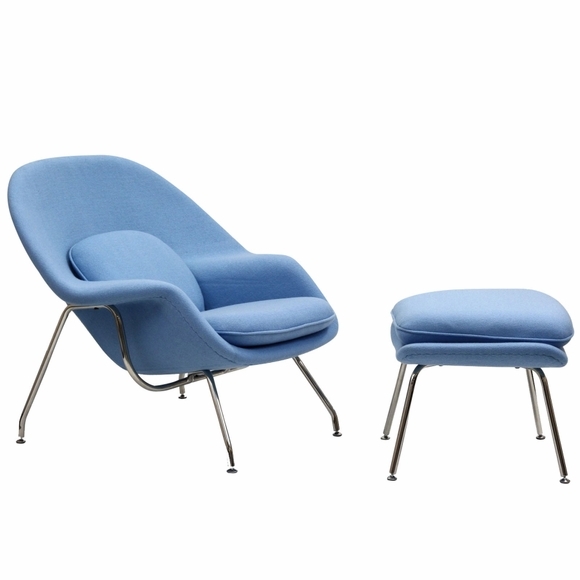 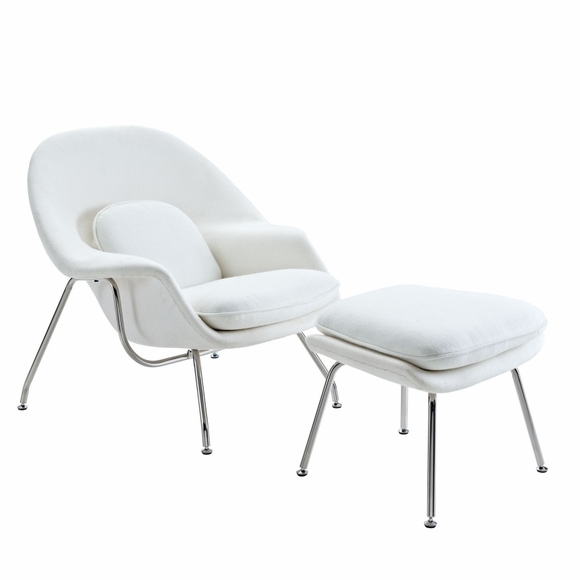 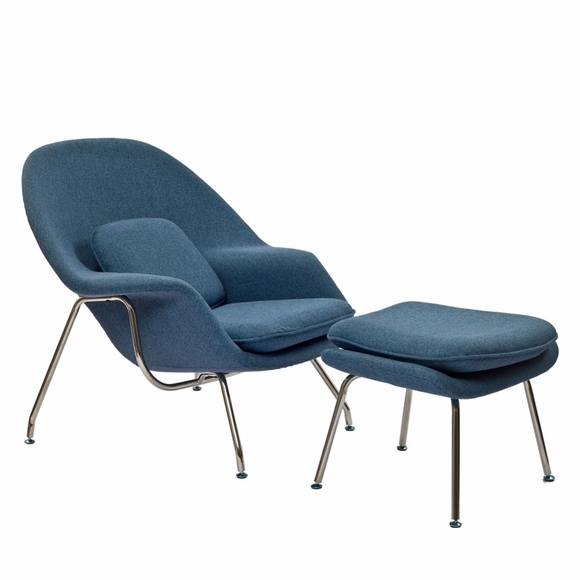 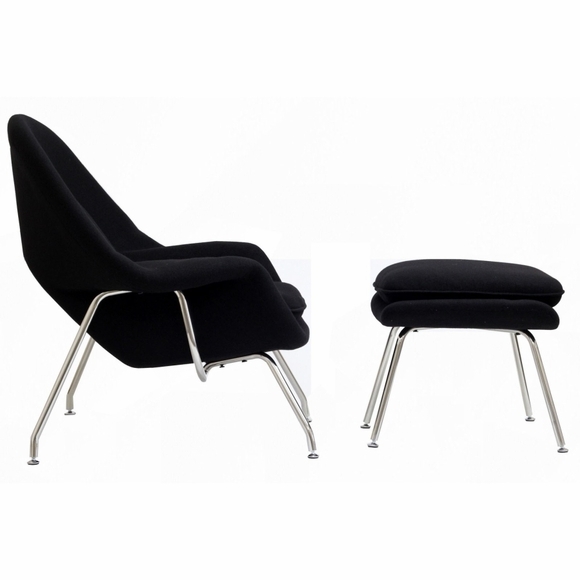 This high quality replica of the Womb Chair and Ottoman features Stainless Steel Frame and Fiberglass Shell Upholstered.